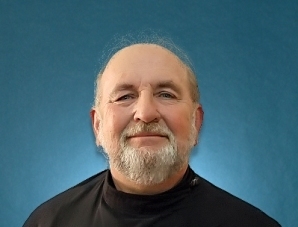 Protodeacon Basil Andruchow, 72, who in retirement was attached to Saint Nicholas Church, Salem, MA, fell asleep in the Lord early on the morning of Wednesday, June 12, 2013. A graduate of Boston College, Holy Cross College, and Tulane University, from which he received his doctorate, he retired as quality assurance manager of the Commonwealth of Massachusetts Water Commission in 2007. A former member of Holy Trinity Cathedral, Boston, he was a gifted and talented musician. Protodeacon Basil is survived by his wife of 48 years, Mary Rose (Long); sons Peter (Kristin) and Priest Nicholas (Matushka Merilynn); daughters Lena Helen (Paul) Filanowski and Natasha (Gerard) Vogt; and eight grandchildren. The Funeral service will be celebrated at Saint Nicholas Church, 64 Forrester Street, Salem, MA on Friday, June 14, at 7:00 p.m. The Divine Liturgy will be celebrated on Saturday at 10:00 a.m. with interment at Mount Auburn Cemetery, Cambridge, MA. Expressions of sympathy may be made to Saint Nicholas Church Icon Fund, 64 Forrester St., Salem, MA 01970 in his memory. May Protodeacon Basil’s memory be eternal!